Social audio sharing service SoundCloud is announcing its “next” version of the service during a press event in San Francisco. 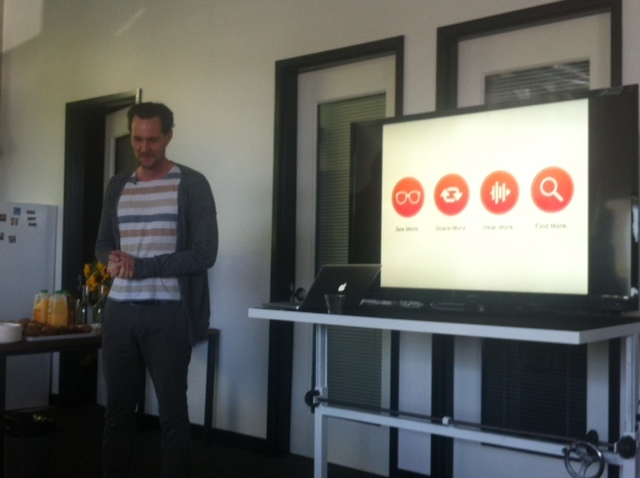 We last told you about the company when it hit 10M users in January of this year. The new version of the site, dubbed the “Next” is in private beta starting today. 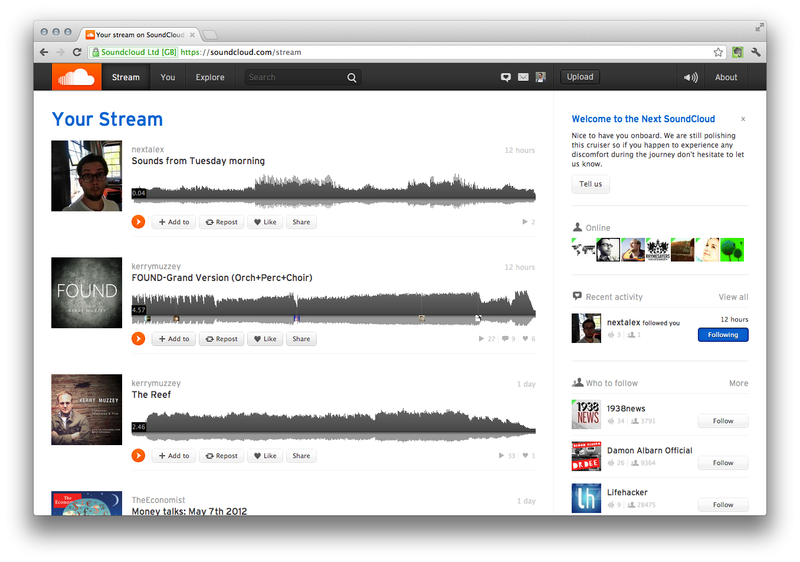 SoundCloud allows anyone to upload audio of any type, including music or messages to share with your friends or family. You might be familiar with the service if you’ve ever listened to our Daily Dose series, as it’s our player of choice. The service calls itself the “leading sound platform in the world” and it’s growing at a rate of 1.5M users a month. SoundCloud currently has 15M users, including celebrities like Snoop Dogg and John Mayer. The company says that it wants to “Unmute the Web”, by making the recording of the sounds in daily lives as simple as possible. 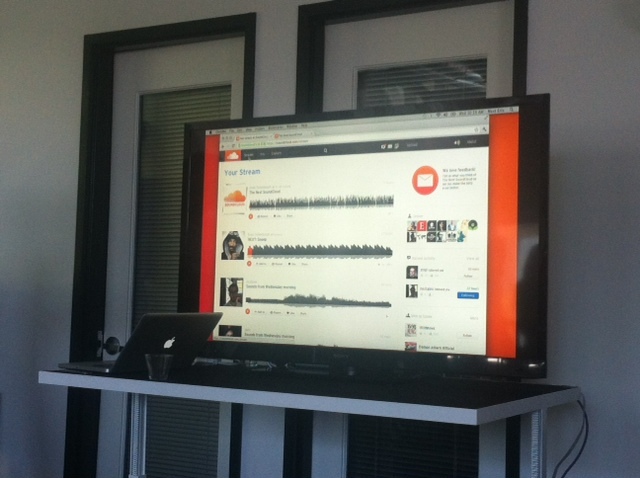 Its users tell SoundCloud that they want more sounds and features, and the company is dedicated to doing just that. “See More. Share More. Hear More. Find More.” is the tagline for SoundCloud Next. This site is a complete overhaul, and performs very “app-like”. It’s also blazingly fast to navigate using keyboard shortcuts. Seeing a demo of how powerful the “Re-post” option is, I can tell you that sounds on the service are going to go super viral faster. It’s very similar to a retweet on Twitter, or a re-post on Tumblr. The service should be available to everyone within the next few weeks. The decision to launch “Next” at such an early iteration is because SoundCloud wants to get as much feedback as it can from its dedicated users. Alexander Ljung (founder/CEO) and Eric Wahlforss (founder/CTO) fielded some questions and I asked them how influential mobile devices were in the re-creation of the SoundCloud site. Both said that the tablet browsing experience and the ease of recording voice on a mobile device were a big part of what has gone into Next.